This is my review of an investigation into the reason why gout treatment is not as successful as it should be. Because many reasons for poor treatment by your gout doctor are avoidable. So if you discuss these with your doctor, you will get better gout recovery. I wrote this Gout Doctor article for gout patients who are not happy with the progress of their treatment. But it is also of general interest for all people who care for gout sufferers. However, if you do not know which type of gout person you are, you should read Questions for Gout Sufferers first. This is my review of a gout study designed to “improve management of this easily diagnosed and curable form of potentially severe arthritis.” Then, after my review, I summarize the points that you can discuss with your gout doctor. In the introduction, the authors describe how gout is a widespread disease that is well understood medically. But they note that only a minority of gout patients get effective treatment. So the report continues to investigate possible reasons for poor gout treatment. 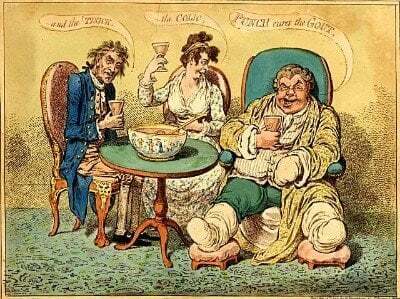 The authors outline the common view that gout is a self-inflicted “disease of kings”. So many people believe that gout is a deserved result of shortcomings and poor discipline. Yet the reality is that most patient’s gout is genetic. Commonly, gout is seen as a comical disease that only refers to self-inflicted pain. Yet it is a progressive destructive disease which causes damage even on pain-free days. But the general lack of understanding often leads to sufferers avoiding treatment for fear of ridicule. The study continues with lists of shortcomings from the gout doctor in both primary care and hospital settings. Poor access to best diagnostic tools (joint aspiration). Underestimate the long-term complications of joint damage and organ failure. No uric acid treatment dosage adjustments to reach safe uric acid levels in the blood. Lack of gout patient information. However the authors note that recent new treatments show signs of improving the level of interest in gout among hospital specialists. Is your gout doctor up-to-date? My main role in providing GoutPal is to help you work better with your gout doctor. So I use articles like this to help you know which questions to ask. Then I provide explanations of your doctor’s response. Also, I provide more personal support in the gout forums to help you get more from your gout doctor. Start with your own experience. Because you should not close the door to treatment due to embarrassment. Gout is a serious disease with a bad reputation. So consult your doctor about uric acid arthritis. Try to get a specialist consultation with a rheumatologist who has extensive gout experience. Be aware of the need to start uric acid treatment quickly to avoid long-term complications. Ensure you set a uric acid target with your gout doctor below 5mg/dL. Then ensure your treatment dose is adjusted regularly to achieve safe uric acid as soon as possible. Read GoutPal every day to get the knowledge you need to fight your corner. But always remember that gout must be managed on an individual basis. So make sure your gout doctor answers all your concerns. Then if you don’t understand the information you get, ask in the gout forum. 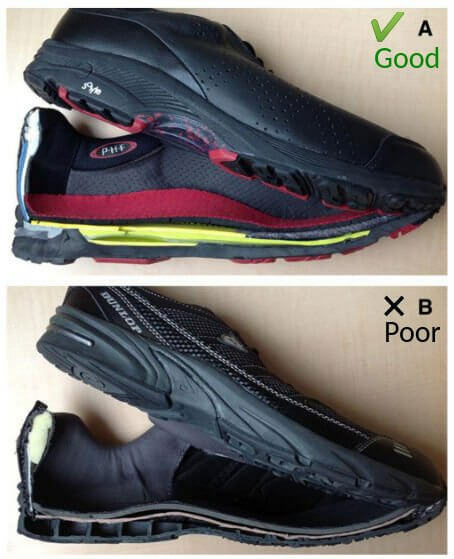 This is my second article in an occasional series about why you need GoutPal. So please read Which Gout Doctors Help You Best for more information. Doherty, Michael, Tim L. Jansen, George Nuki, Eliseo Pascual, Fernando Perez-Ruiz, Leonardo Punzi, Alexander K. So, and Thomas Bardin. “Gout: why is this curable disease so seldom cured?.” Annals of the rheumatic diseases (2012): annrheumdis-2012. Why is curable gout seldom cured PDF.